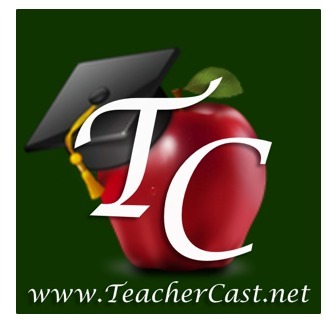 Typically when I download an application to my iTouch or iPad I am looking for a specific criteria: stimulates and challenges my mind, is educational and also a lot of fun! The applications that I choose are designed to meet the needs of my 4 1/2 year old son, and myself (parent and educator). I am looking for applications that will keep me coming back day after day. It is because of this that I am sharing with everyone TanZen which meets all of my application requirements. 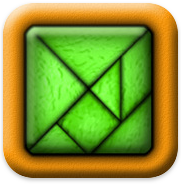 TanZen is a origami like puzzle application. My review is based on the Game Center version which currently is 50% off and is a .99 download. With this version there are 522 puzzles that a user is trying to complete. This application is very well thought out to every last detail. Through the use of flips, rotations and turns, shapes are molded into an object. Your goal is to use all the pieces and in turn to not overlap any shape. If you happen to become frustrated with your lack of success, tune into the calming music in the background. Once you think you have mastered that puzzle it will come alive. TanZen accommodates all type of hands. The movement controls are large enough for even the littlest of fingers. A puzzle will turn green indicating that you successfully completed that puzzle and is very clear in the menu. In addition, if you are truly a master of tangrams, then you can reset the menu and start over again. Making this an application that keeps you coming back and encouraged when you see more puzzles added through your updates. If you have only a few minutes or even an hour, you will be hooked on playing TanZen. If you would like to learn more about Little White Bear Studios then please visit their website. You can also visit them by going to your iTunes library here.